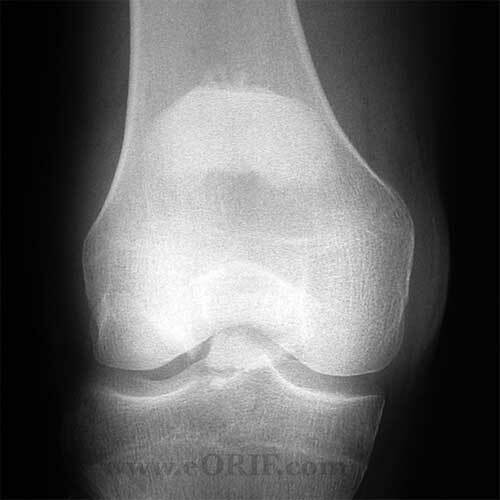 Patella = sesamoid bone within the extensor mechanism of the knee. Bipartite patella ; present in @2% of patients. Knee pain, effusion usually after a direct blow to the knee. 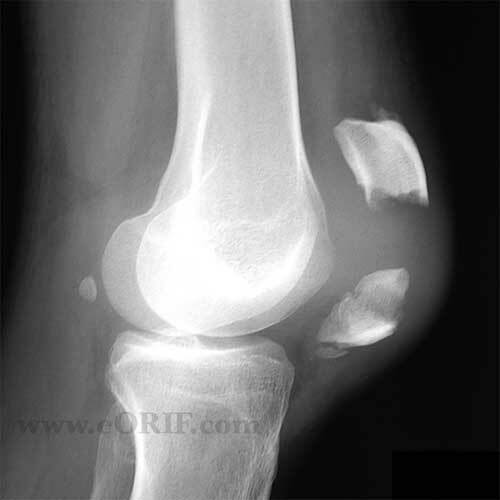 A/P, lateral , Merchant or sunrise view of the knee. Fracture is generally best seen on lateral view. MRI: consider for patients with potential osteochondral fracture. Generally not needed. Intra-articular local anesthetic injection: Consider to confirm extensor mechanism is intact in patients in which pain precludes adequate physical exam. 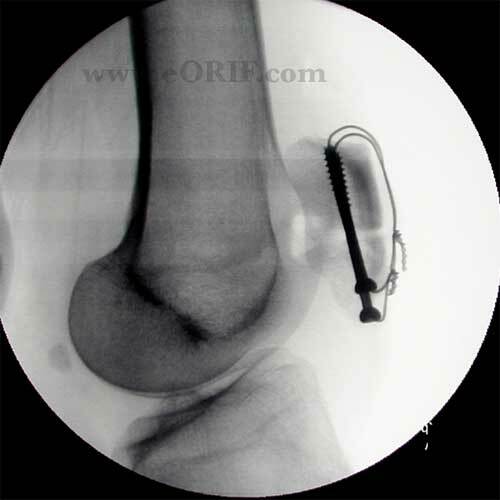 -Treatment = WBAT in knee brace locked in extention, or cylinder cast. 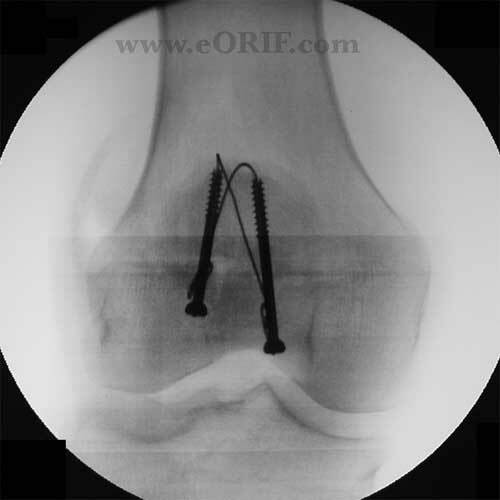 -Treatment = ORIF with cannulated screws and tension band wire / fiberwire. -Treatment = partial patellectomy (distal pole) and reattachment of the patellar tendon through drill holes. Must maintain Insall-Salvati ratio around 1.0. 7-10 Days: Wound check, confirm reduction on xray. Consider allowing knee ROM to some degree based on stability of fixation at surgery.